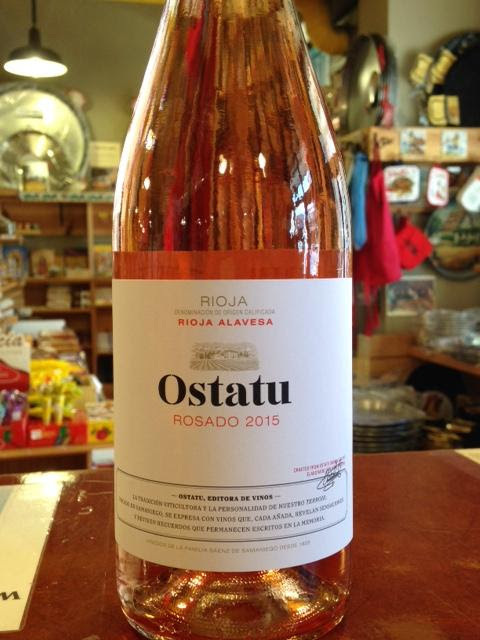 Tip a glass to our few days of sunshine with the first Rosado of the season! 2015 Ostatu Rosado Rioja 70% Tempranillo and 30% Garnacha from 60 year old vines. Lightweight and aromatic, with wild strawberry flavors and nuances of spice. Very dry, it offers up a rich palate, balanced by refreshing minerality. Fans of Provençal-style rosés will love this rosado. Take a sip, relax, and know that summer is around the corner! Don’t wait to pick up a few bottles of this because the distributor will be sold out by next week. 2014 Licia Albariño, Rias Baixas ($16.99) 2014 Licia is extraordinarily tasty and fit to be quaffed on a sunny day. Licia’s vineyards are in O Rosal and Condado do Tea, the warmest sub-zones of Rias Baixas that produce the ripest fruit. Licia is dry and steely with bright citrus notes and a fresh minerality. With creamy apple and quince notes offering stoniness and weight, this is a solid Albariño at a great price. What really impressed me about this wine is its pure freshness. It will rock in 70 degree weather, especially with a plate of shellfish or cheese. Enjoy the outdoors while the great weather lasts, by keeping meals simple. Make fancy bocadillos (sandwiches) with a loaf of crusty bread. Mix and match ingredients, such as our Bruschettas (Piquillo Pepper and Artichoke or Piquillo Pepper and Eggplant) topped with a sheep’s milk cheese such as El Valle Semicurado. Or chop green, pitted olives, mix with Spanish Bonito Tuna and alioli and spread on bread. Slices of roasted Piquillo Peppers withBlack Empeltre Olive spread paired with Majorero goat milk cheese is divine. Brush slices of bread with flavorful extra virgin olive oil and top with slices of Chorizo or Jamon Serrano with Manchego cheese to make a classic sandwich. Or, peruse our shelves and invent new combinations!